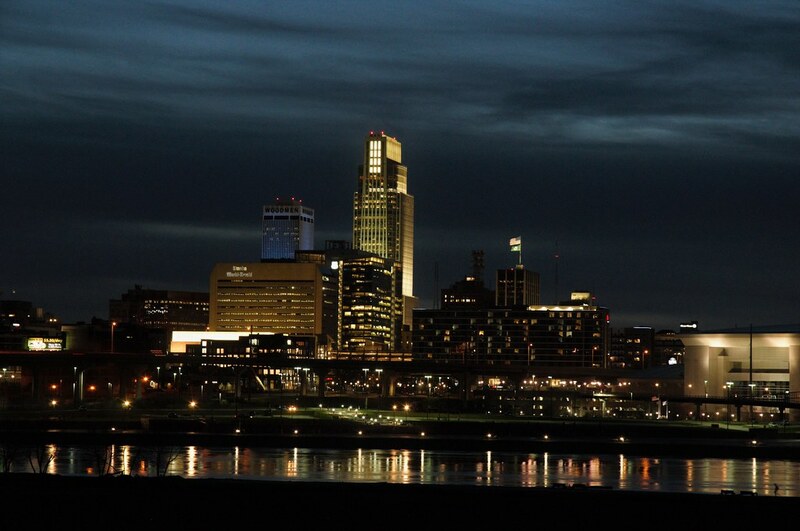 The population of Nebraska continues to shift eastward, especially towards the urban centers of the state. The latest population figures from the U.S. Census Bureau only confirm this trend. Nebraska’s urban centers continue to grow while the rural areas of the state continue to decline in population. According to David Drozd, who works as a research coordinator for the Center for Public Affairs at the University of Nebraska at Omaha, Douglas, Lancaster, and Sarpy counties taken together added more than 12,000 people to their census rolls in the past year. Drozd’s findings also confirm that the Panhandle of Nebraska is experiencing the greatest loss in population. For instance, Dawes, Duel, Cheyenne, Garden, Kimball, Morrill, Sheridan, and Sioux counties have all experienced population declines of five percent or more since 2010. Box Butte and Scottsbluff counties have declined in the range of two and a half percent to five percent. Arthur County remains the smallest county in Nebraska with only 465 people, but Banner County actually grew. Banner County has experienced growth by more than five percent since 2010. These findings concern me as a lawmaker representing ten counties in the Panhandle of Nebraska. In 2020 legislators at the Capitol in Lincoln will redraw the legislative district lines. Currently, each Nebraska State Senator represents a population of 37,000 people. So, when these legislative district lines get redrawn in 2020, we should expect to see the urban areas of the state gain more representation while the rural areas of the state will lose some representation. This won’t be good for folks living in Western Nebraska. This population shift from rural Nebraska to the urban population centers continues to challenge the wisdom of former State Senator, George Norris, who led the state to adopt the unicameral system back in 1937 and which remains in use today. It is evident and clear that the current unicameral system which draws district lines based upon population favors the population centers of the state. Conversely, a second state house with districts drawn on purely geographical lines would favor the rural parts of the state. Therefore, the time has come to discuss moving back to a bicameral system. Nebraska remains the only state in the union which uses a unicameral system. So, why does rural Nebraska continue to lose population? The primary reason the population of Western Nebraska continues to decline is because farming and ranching has become increasingly more and more difficult. Low crop prices, high property taxes and unfair agricultural land valuations are causing more and more farmers and ranchers to go out of business. Folks living in Lincoln and Omaha do not understand the plight of the farmer and the rancher living in Western Nebraska, nor do they feel the pain of our low crop prices, high property taxes, and unfair agricultural land valuations. Consequently, the thought of redistricting can only give folks living in Western Nebraska cause for concern. The sad news that I am reporting today is that in the coming years, folks living in Western Nebraska will have less representation in their State Legislature. Perhaps the most important bill I introduced this year turned out to be LB482, which is my destroyed property bill. LB482 prorates the property taxes of those landowners whose homes or buildings have been destroyed by a fire or a natural disaster to the date of its destruction for that tax year. Those who have lost their homes due to a fire or a natural disaster, such as a flood or a tornado, should not be burdened with having to pay their property taxes. When I first introduced this bill back in January I had no idea that Nebraska would soon be experiencing the worst year of natural disasters to ever hit the state and that the bill would be so timely. LB482 now has a new legislative number. After three hours of rigorous debate on the floor of the Legislature, I was finally able to successfully amend the contents of LB482 into LB512, which is the Revenue Committee’s clean-up bill. After facing a three hour filibuster by Sen. Ernie Chambers of Omaha, LB512 advanced to Select File along with my amendment. The bottom line is that many Nebraskans with destroyed property, especially from the recent floods and blizzards, need this kind of property tax relief this year. Nobody should ever have to pay property taxes on the ghost of a house or a barn which no longer exists. 27 counties across Nebraska have now been included in the disaster declaration. So, the need is great. Therefore, my amendment has been written to make property tax relief for all of these victims retroactive to January 1, 2019. My amendment to LB512 has widespread bipartisan support in the Legislature. The bill passed with a vote of 42-0. This kind of a vote tells me that both Democrats and Republicans recognize the need to give our disaster victims some much needed relief this year. Hopefully, the bill will continue to receive such widespread support as the bill advances on to a second round of debate. The needs of individuals should be our highest priority. Even in rare cases when most of a town or a village is destroyed, I believe the needs of the people should still take highest priority. After these folks have the chance to rebuild, their homes and buildings will be worth more than they were before the disaster occurred, and the community will be able to collect even more revenue in property taxes than they did before. So, it really is a win-win situation for everyone involved. When I introduced LB482 in the Legislature back in January, I did not realize back then how timely this piece of legislation would be. LB482 is my destroyed property bill. The bill would prorate the property taxes on a person’s real property from the date of its destruction by way of a fire or a natural disaster. Because of the March blizzard and the floods in Eastern Nebraska, LB482 could not have been timed any better. If we can make this bill retroactive, those with damaged property could get some much needed relief. To me, it just makes sense that those who have had their property damaged by the storms or who have lost everything in the floods should not have to pay any property taxes until their property is restored or they can rebuild. But, not everybody supports LB482. Some do not want this bill to ever become a law in Nebraska. LB482 has had some opposition, especially from the Nebraska Association of County Officials (NACO) and some county assessors. Those who represent these two groups seldom ever consider the plight of the taxpayer. Instead, they tend to think only of the taxes they collect and less work for themselves. Whenever a lobbyist represents a group or an organization, they get paid a lot of money to bring more money into that group or organization from the State. We now have preliminary reports of the damages from the storm and the flood. The preliminary reports of the damage show that 77 counties have filed emergency declarations covering more than 80 percent of the State. Some of these counties were hit much harder than others. For instance, Nance County was hit the hardest with damages totaling $232,795,400 for roads, bridges and real estate, while damages in Brown County totaled only $5,000. In most cases, property taxes lost by LB482 would not have a debilitating effect on county budgets in 2019. The reason is two-fold. First, most counties did not suffer enough damage to make a sizeable dent in their revenues, such as Brown County. Nance and Sarpy counties may be the only two exceptions to this rule. These two counties likely suffered enough damage to affect their county’s revenues in a significant way. But, counties have another way to deal with these kinds of a situations. The second reason why LB482 should not affect county budgets in a debilitating kind of way is that property taxes are always paid in arrears. Any loss in revenues would not be felt until 2020. However, counties will set their budgets in September of this year. At that time, they may adjust their levies to make up for some of the anticipated losses in revenues. Therefore, it is reasonable to expect local units of government, such as county governments, to work with a revenue shortfall just as property taxpayers do when they experience a decrease in personal income. There is always hope for the future. Once properties have been restored or rebuilt, property values would likely go up, and counties would receive even more revenue than before. In the meantime, I believe those suffering from property damage or the loss of their property should be relieved from having to pay property taxes until they can get back on their feet. So, LB482 is common sense legislation which benefits the people who need property tax relief the most. Unclaimed property comes in many different shapes and sizes. It could be an un-cashed paycheck, stocks left in a safe deposit box, or expensive jewelry from a deceased and distant relative’s last Will and Testament. The 2019 Unclaimed Property Report lists all of the properties received by the State Treasurer during the last year worth $25 or more. You may check to see if your name is listed in the report by visiting the State Treasurer’s website by clicking on the following link Nebraska State Treasurer and then clicking on the link for the 2019 Unclaimed Property Report. If you would like more information, please call the Unclaimed Property Division at (402) 471-8497 or toll-free at 1-(877)-572-9688, or call my office at (402) 471-2616. Good luck with your search, and may you find your pot of gold. God has an amazing ability to bring good out of evil. When Amanda Gailey and Courtney Lawton shut down a seemingly insignificant college sophomore as she tabled for Turning Point USA at the University of Nebraska – Lincoln more than two years ago, Kaitlyn Mullen suddenly found herself being escorted home by a police officer. That event was evil, because Gailey and Lawton violated Mullen’s God-given right to free speech on campus by demonstrating directly in front of and blocking access to her recruitment table. Little did Kaitlyn Mullen know at the time that what happened to her on that dark day would spark a new movement to bring free speech back to our college campuses all across the nation. She has now been propelled to the forefront of a new movement to end harassment against conservative students by extremist, Left-wing activist professors on college campuses. Mullen was harassed by these two university professors on August 25, 2017. A couple of days later I decided to contact President Hank Bounds and Chancellor Ronnie Green to talk to them about this incident. They ignored several phone calls I made to them. So, after a week of waiting for them to call me back, I decided to write a story for the newspaper about this incident. But, before I published it, I called each of them one more time and told them that if I did not hear back from them that morning, I would go public with the story that afternoon. Once again, they ignored my phone calls. So, I sent out my first newspaper story on this incident on September 1, 2017. Since this time, I have written additional stories for the newspaper, some even co-signed by other State Senators, but Bounds and Green have refused to fix the problem of free speech and the harassment of conservative students on campus by these extremist, Left-wing activist professors. This problem has not gone away. At least one activist professor has been arrested numerous times for vandalism in both Virginia as well as in Nebraska, and the administration continues to turn a blind eye to the problem. In order to help you see the double standard which now exists at the University of Nebraska, consider what coach Scott Frost said to football player, Maurice Washington, after a judge in California signed a warrant for his arrest: “I will say our guys at Nebraska need to understand they don’t just represent themselves, they represent their team, and the athletic department, and the University of Nebraska.” But, after Assistant Sociology Professor, Patricia A. Wonch-Hill was arrested for vandalism, the administration turned a blind eye to the incident and said “the activities were done on her own time,” and that they were leaving the matter to local law enforcement. So, the students represent the University of Nebraska, but the professors don’t. Standing next to President Trump as he spoke from his podium at the White House was Kaitlyn Mullen. President Trump even invited her to speak. Here is some of what she said: “As the future of America, it’s important that our universities are a place where we can speak freely and have healthy, respectful dialog on campus.” She also went on to say, “No other student should ever have to go through what I went through.” And, I agree. Sen. Steve Erdman invites high school students from the Panhandle to participate in the Unicameral Youth Legislature. High school students are invited to take on the role of a state senator at the Unicameral’s Youth Legislature June 9-12. At the State Capitol in Lincoln, student senators will sponsor bills, conduct committee hearings, debate legislation, and discover the process of how a bill becomes a law in the nation’s only Unicameral Legislature. 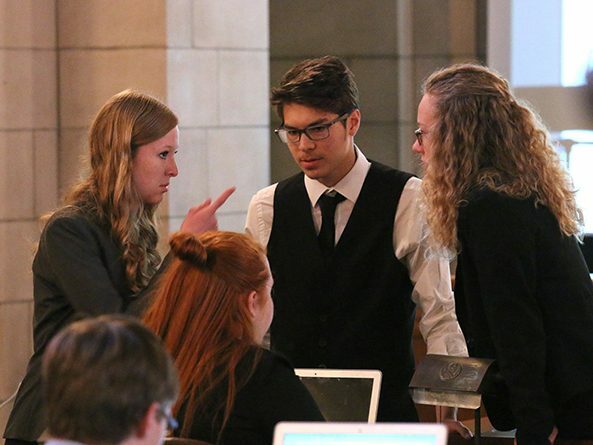 The Unicameral Youth Legislature gives behind-the-scenes access to students who have an interest in debate, government, law, politics, public office, public policy, and public speaking. Students will learn about the inner workings of the Legislature directly from senators and staff. The Office of the Clerk of the Nebraska Legislature coordinates the Unicameral Youth Legislature. The University of Nebraska-Lincoln’s Extension 4-H Youth Development Office coordinates housing and other recreational activities as part of the Big Red Summer Camps program. To learn more about the program or about how to apply, please call (402) 471-2788. The deadline for registration is May 15, 2019. The winter of 2019 will long be remembered in Nebraska for its historic harshness and brutality. In Western Nebraska residents are digging out of the snow and praying for warmer temperatures; in Eastern Nebraska they are filling sandbags and praying for the flood waters to subside. In Western Nebraska calves are being birthed on a bed of snow; in Eastern Nebraska residents are being rescued from flood waters. In Western Nebraska residents remain held up inside their homes; in Eastern Nebraska residents are evacuating their homes. We have a new tourism motto in Nebraska this year, which says, “Nebraska is not for everyone.” Indeed, few people would ever choose to live in a land with such extreme weather conditions. But, it is precisely those who know how to weather these extreme conditions and who help others get through them who set our state apart from other parts of the country. The true colors of Nebraskans shine most brightly during these times of disaster and extreme weather conditions. Nebraskans come together during these tough times of deep stress and put the needs of their neighbors ahead of their own personal and private interests. We will help our neighbors dig out of the snow, help them round up their cattle, help them fill sandbags, and we will even open up our homes to those who have lost theirs in a flood. These are the values we all share as Nebraskans, and these are the values which make Nebraska great. So, Nebraska may not be for everyone, because not everyone shares our values. Governor Ricketts has filed the paperwork and made the request for federal relief aid, and Congressman Adrian Smith has been assisting by assessing Nebraska’s needs for federal aid. 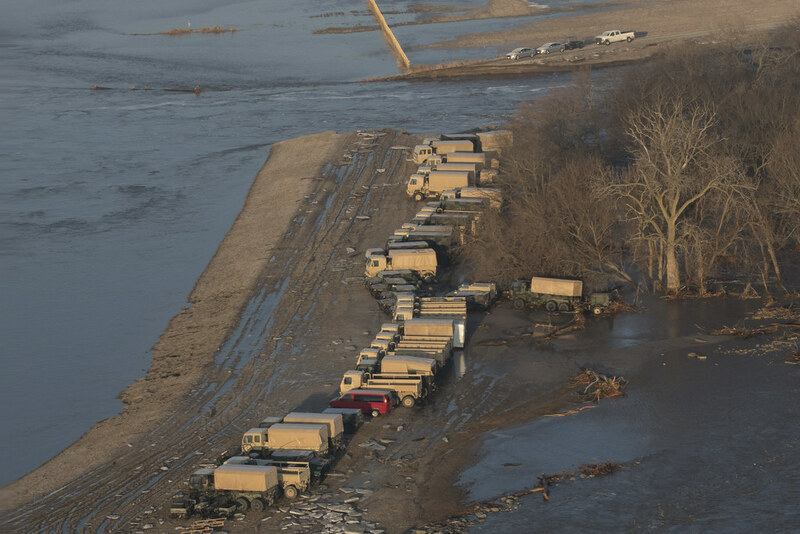 However, an official survey and assessment of damages will be completed by the Nebraska Emergency Management Association (NEMA) to see if Nebraska qualifies for federal disaster relief dollars. While I am confident that Nebraska will meet these federal eligibility requirements, NEMA’s surveys will determine which areas of Nebraska get this relief aid. In the meantime, those in affected areas should contact their County’s Emergency Manager to report their need for assistance. As the snow melts, please let me remind you about a few safety procedures. Please be wary of flooded roads and remember not to drive on or across any flooded roads, especially when you don’t know the depth of the water level. If you see someone in danger, don’t try to help them yourself; seek assistance first. If you are in danger or need emergency medical services, please dial 911. If you need assistance with food, shelter, clothing, or anything else, please call 211. Before you travel, remember to check road conditions at: www.511.nebraska.gov. You can also download their convenient APP on your phone, so that you can keep an eye on our ever changing weather patterns and road conditions throughout the trip. Finally, drive safe, buckle up, obey the rules of the road, and always drive sober. The date for the public hearing on LB707 has been changed again by the Revenue Committee. Please disregard the date change provided in Sen. Erdman’s newspaper article in this week’s newspapers. The date of the hearing has been changed to March 13, beginning at 1:30 p.m. in Room 1524. Last week my bill, LB372, passed through Final Reading by a vote of 47-0. Sen. Chambers and Sen. Hughes were excused from the Chamber and did not vote on the bill. This means that LB372 will now proceed to the Governor’s desk to be signed into law. LB372 is a bill which will require the Property Assessment Division to use all of the land capability groups provided by the Natural Resources Conservation Service (NRCS) when valuating agricultural land and horticultural land for property tax purposes. In the past, the Property Assessment Division has acquired the very bad habit of using only dryland classifications for valuating other kinds of agricultural lands and horticultural lands, such as irrigated cropland. This practice has led to many inaccurate valuations of agricultural lands and horticultural lands. Once LB372 gets signed into law, the Property Assessment Division will begin the process of classifying agricultural land and horticultural land according to their specific land capability groups as provided by the NRCS. These land capability groups can be found online at: www.nrcs.usda.gov. One of my primary goals since becoming a Nebraska State Senator has been to make agricultural land and horticultural land valuations fair and accurate. LB372 represents a significant step in that direction. However, while LB372 will certainly move the valuating process further in the direction of fairness and accuracy, it will not completely solve the problem. The reason is that market sales will continue to plague the valuation process. The fact of the matter is that the Property Assessment Division will continue to valuate agricultural land and horticultural land based on market sales, instead of using only the productivity of the soil. Therefore, I am waiting for the Legislature’s Revenue Committee to advance my other bill, LB483, out of committee and onto General File. LB483 is my priority bill for the year, and this bill will overhaul the entire system and change the way we valuate agricultural land and horticultural land for property tax purposes. LB483 will tie agricultural land valuations and horticultural land valuations exclusively to the productivity of the soil. Ultimately, this is what farmers and ranchers in Nebraska need in order to make their valuations fair and accurate. On a similar note, on Thursday, March 14, a public hearing will be held on my bill, LB707. The Legislature’s website has erroneously published the date of this hearing for March 13, but the hearing will actually be held by the Revenue Committee on March 14 beginning at 1:30 p.m. in Room 1524 at the State Capitol Building in Lincoln, Nebraska. LB707 is a bill that will make the process of protesting the valuation of your agricultural or horticultural property much easier. It used to be the case that board members of the Tax Equalization & Review Commission (TERC) would hold hearings in Scottsbluff. However, the TERC board no longer holds hearings anywhere in Western Nebraska. 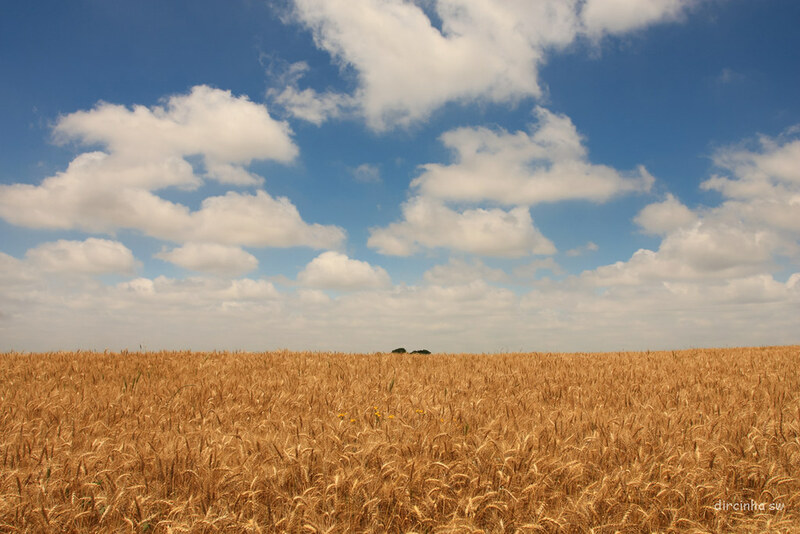 Consequently, anyone wishing to protest the valuation of their agricultural land or horticultural land has to drive to Lincoln in order to present their case before the TERC board, and I believe this practice puts an undue burden on folks living in Western Nebraska. LB707 would change this. LB707 would eliminate the burden of driving all the way to Lincoln by allowing TERC hearings to be held by way of video conferencing or by way of telephone conferencing. So, this is a common sense bill that would save folks living in Western Nebraska from the needless hassle of having to drive all the way to Lincoln just to protest the valuation of their land. Are you an inventor? Are you an entrepreneur? Do you like to watch Shark Tank? Well, Shark Tank is coming to Lincoln, Nebraska April 5th and 6th! UNL and the Engler Agribusiness Entrepreneurship Program are hosting an Open Casting Call for ABC’s Shark Tank. This will be more than a simple opportunity for you to pitch your product. Instead, it will be a unique opportunity to network with other small business owners, to hear from local business leaders, to celebrate Midwest entrepreneurship, and to take a shot at being on Shark Tank. So, if you would like to share your product, expand your business, or audition for Shark Tank, then please contact Michelle Bassford at: mbassford7@unl.edu.